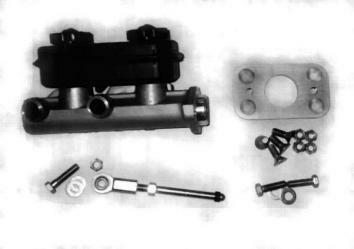 Jeg's sells a manual brake conversion kit for 93-02 F-bodies. Anybody see a reason why this kit wouldn't work in a Third-gen Camaro? I don't see a pushrod in the jegs kit. Otherwise it looks like it will work. The Jegs kit comes with the pushrod. I installed one in my 88 Camaro. Works fine, although the pedal seems kinda squishy when first pushed. I'm upgrading to these calibers to address this issue. Dragging this old thread back. Has anyone else used the Jegs 555-631420 kit? Also will it work with rear discs? This is on a drag race only car. Last edited by 70net440; 02-04-2019 at 05:13 PM. It should work. The master cylinder is large enough to supply the volume of fluid for just about any brake system. What calipers are you using front and rear? Stock WS6 in the front, GM metric on a Quick Performance 9 inch in the rear. For that setup, I would run a 24mm master cylinder. 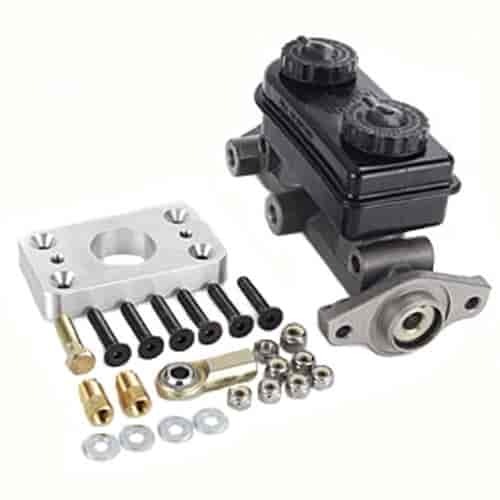 Your stock master cylinder is a 24mm step bore and can be used with the manualbrakes.com package if the master cylinder is in good working order. The minor draw back is that the lines will exit on the right side (engine side) of the master cylinder, but you should not have to replumb the brake lines and it will work with the stock, from the factory, LOW drag front calipers. You should not need an adjustable prop valve if running large, wide tires in the back and skinny tires up front. Let me know if you have any additional questions. Thanks for the help Dave. Got a few other things to sort out before we switch to manual brakes. Would the Hawks line lock kit work well with this set up? I would contact Hawk, but the ad says it to be designed with proper OE fittings, so I suspect it is for a stock master cylinder and/or prop valve which come with metric bubble flare outlets. It would then be fine if using your stock master cylinder and prop valve setup.